So often we speak to customers that are comparing various offers for invoice discounting, and their key measure for comparison is the headline administration (often wrongly referred to as service charge) charge percentage. 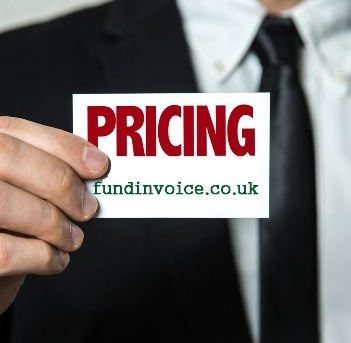 With an offer for invoice finance, you normally are quoted a service fee (or administration fee for invoice discounting), a discount charge (similar to interest) and then there may be a tariff of additional charges for other services and events e.g. CHAPs transfer fees. Often customers don't look beyond the admin fee, and make their comparisons based on that rate. However, our research suggests that there are plenty of reasons to look through the full terms of the pricing offered, even if there are no differences in terms of how the facility will operate e.g. funding percentages. Our pricing research, looked at the costings of a range of confidential invoice discounting providers, for a standard customer. We found that of the total fees quoted (we excluded any additional extras for this comparison), the administration fee represented 59%, on average, of the overall cost. This means that, again on average, the discount charge will account for 41% of the fees that you will be charged. Therefore it is critically important to also compare discount fees, as they will influence the overall pricing. This is especially important when you consider that discount margins varied by 74%, on average, between the cheapest and most expensive. This makes discount fee an important factor within the pricing quote. We found that a small number of invoice discounters set their minimum monthly administration charge at a level where it would be expected to bite every month, based on our client's projected level of turnover. This means that if you may have been quoted say 0.5% administration fee, on a £1 million annual turnover, you would expect to pay £5,000 per annum, £416.67 per month. However, if the minimum monthly fee is set at £500, you will pay that instead. In this example, that would increase the annual fee by almost a thousand pounds. So you would actually pay just under £6K in admin fees each year, instead of the £5K you were expecting. So if you are trying to compare charges between invoice discounters, our advice is to look beyond the headline rates and take into account all aspects of the overall price. This is of course assuming that all other terms are equal e.g. funding, which is unlikely to be the case. If you need help please call Sean on 03330 113622 to discuss your invoice discounting quotes.